Here are the last of the new additions to the shop for the week! 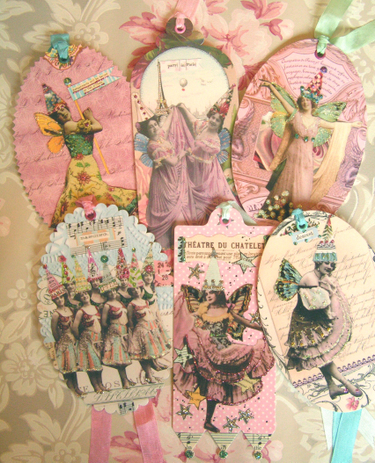 They are beautiful die cut, oversized gift tags featuring antique images. There are two collections to choose from: Ballet Fairies (above) and Party Girls (below)! How fun these are! You can find them all here. 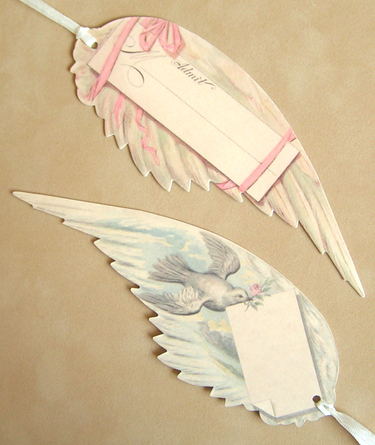 And lastly, these Delicate Wing tags, which I love to pieces. 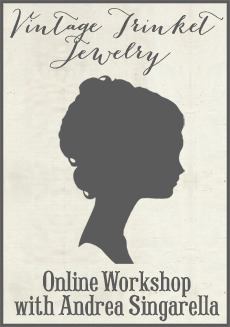 I already took one out of inventory to hang on my inspiration board! Ok, I'm off to go relax after a long day in front of the computer. I'll be taking the weekend off. See you next week! EDITED: I just wanted to clarify that I did not make these tags. 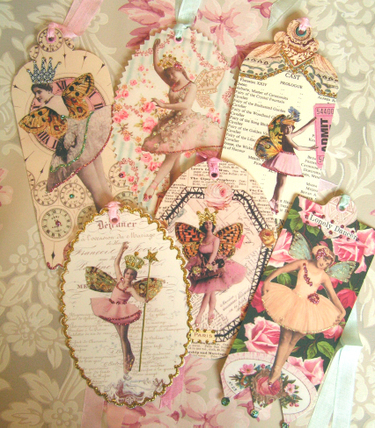 I purchased them from a company that specializes in beautiful vintage inspired and reproduction paper goods. Thank you all for your compliments, but I cannot take the credit for them! I simply added them to my shop and hope you love them as much as I do! I ordered some new crowns today. Love those tags. I have one and think it's so cute. I bet it would be hard not to take more of the shop stuff - I know I'd always be thinking, "oh, but this would look so cute in my bedroom", or something of that nature. I'm sure you are much better about that than I'd ever be. wow!!! andrea you outdid yourself. these are so beautiful. YOUR TAGS ARE ABSOLUTELY BEAUTIFUL. I JUST LOVE LOOKING AT YOUR ARTWORK. HAVE A GREAT DAY AND KEEP CREATING BEAUTIFUL ART. HAVE A GREAT DAY!! You find (and make) the BEST stuff! Those are so lovely. I hope to purchase from you someday. I love this line of tags! They are really gorgeous! So happy you have them! I love these tags, I picked some up a while ago on ebay but see you have some I don't have in my collection! Thanks for adding such great stuff to your store! Beautiful tags. I see why you wanted to keep one of the angel wings. Love those wing tags! So unique and pretty! Love the tags...I have a couple and they are to-die-for! So, so precious! The wings are a must...gotta go get some! The wing tags are BEAUTIFUL! !